When you think about it, search engine optimization and web design are closely related. After all, Google algorithms assess the user experience of websites, along with the quality of their content. Consequently, no one should underestimate the importance of this combined category, of which Arctic Grey Inc has risen to the top. The company is an award-winning creative firm that can perform SEO enhancements to existing websites or design new custom websites from scratch. The firm has technical teams that complement its capabilities with cutting-edge programming and design frameworks. 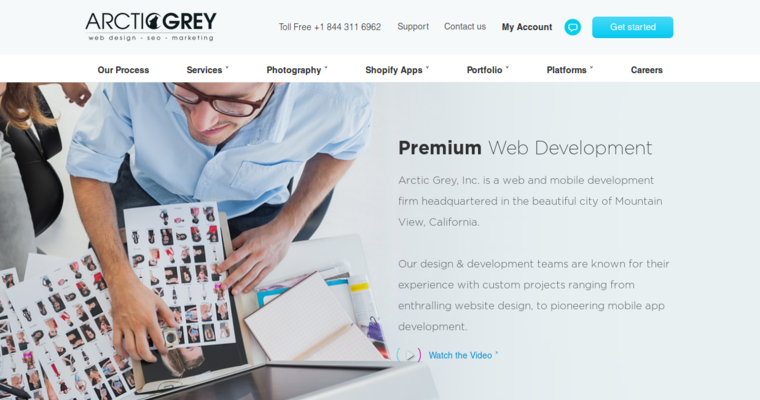 Companies that choose Arctic Grey Inc will love the firm's five-step approach to web design and SEO. First, they spend time with clients, planning the way forward. When they know what clients want, they move to the design stage. The firm produces designs that meet client specifications. Thirdly, the company develops the site. Finally, the finished product is launched and marketed.